The isolationist trend within modern cinema is a trope which has recently become increasingly popular. The likes of Hell Or High Water, Sicario and The American all portray their protagonists as not necessarily alone but rather undergoing psychological and emotional isolationism. 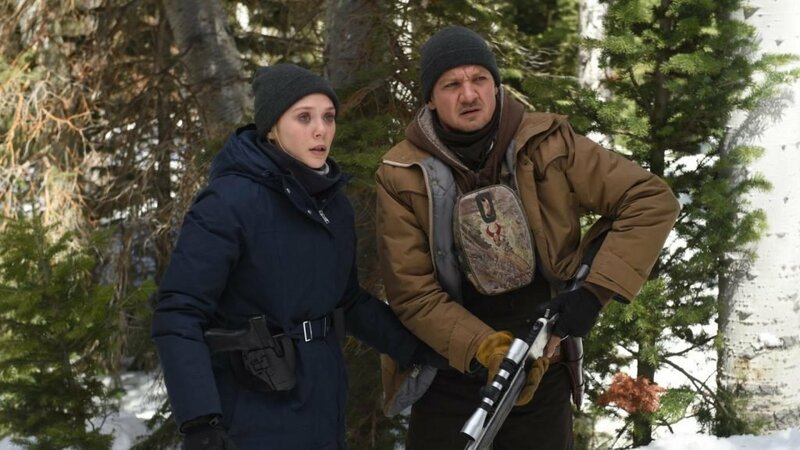 In Wind River – which sees writer extraordinaire Taylor Sheridan step up as director – conveys an America broken beyond despair, where the last semblance of justice comes in the form of Jeremy Renner’s Cory Lambert, a hunter for the US Fish and Wildlife Service. Justice on this frontier is something that is hard to come by and can be blown away at the turn of the snow. The film must be commended for being both paradoxically intense and thrilling. The action is understated, a standout scene where the characters of Olson and co-star Graham Greene attempt to question several young drug addicts is shot with deafening, visceral audio and visual punches. This is no film for the faint-hearted – if you enjoyed Hell Or High Water or Sicario, then you will be invigorated by this powerful and nuanced film. The isolationism of the characters is particularly interesting in the scenes where action serves the character development. There are no two-dimensional roles, each and every member of the cast keep the pace thrumming at the level of a snowmobile, cutting through the icy wilderness. In terms of the cinematography, the level shots and closeups of faces convey more emotive weight than any flashback scene, the mise en scene allows for a genuine appreciation of the plight of this frontier society of scattered homes and nature, living side by side. Watch for the heartrending visit to the parents of the deceased girl’s house. The scene reveals a mother distraught beyond words. The father, initially carved out of stone, is set off by Jeremy Renner’s simple, “hey Martin,” for a more disturbingly realistic portrayal of parental grief, look no further. Credit and applause must be given to Gil Birmingham as Martin Hatton, whose quiet devastation crawls down his visage, akin to the inexorable progress of a landslide. Ultimately, isolationism in film had been reserved for the horror genre. In this neo-noir western thriller, the beat is set high with lulls to allow for excellent character acting. The whole film echoes with a sadness. A sadness at loss. A sadness at the disappearing and miserable lives of many Native Americans on these wretched reservations. However, plaudits must be rained on every First Nations actor, not only do they refuse stereotyping, they rise above the systemic racism which you feel acts as a sub current in this politically and emotionally charged film. Jeremy Renner has never been better, Olson, never stronger. This is a meditation on life, loss and kindness. It whispers in the mind long after the last breath of wind shivers down the spine.